When I woke up to a twitter notification a few weeks ago I couldn't believe my eyes! 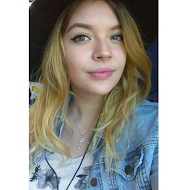 The lovely Ana announced the winner of her MAC lipstick giveaway and, yes oh my god, I WON! I couldn't contain my excitment! And I still can't believe that I was lucky enough to win! I've never won anything in my life before - so you can guess just how excited I was! The price of the giveaway was a MAC lipstick of your choice and I went with a classic and much talked about one: DIVA! First of I have to say it's a little bit out of my comfort zone! I feel like everybody will be starring at me when I'm wearing this lipstick but I think stepping out of my comfort zone and out of my habit of just wearing pinky and very girly lipstick shades is a good thing - don't you agree? 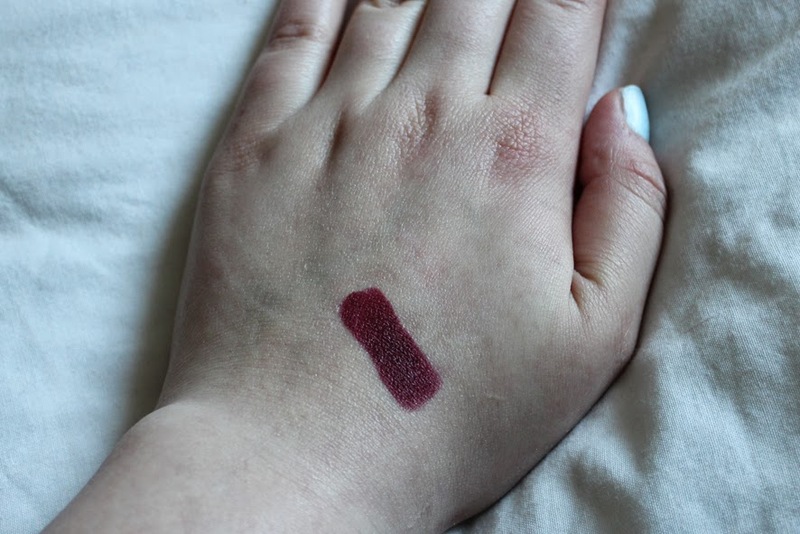 Diva is a gorgeous red lipstick which I would describe as a dark wine red or maybe burgundy shade. I think it looks very different (and a bit "scary") in the lipstick bullet than when actually applied to the lips. But you can also build up the colour even more to get an even darker and intenser result. It's a lipstick with a matte finish. This of course is a very different finish to the MAC Cosmo lipstick that I own, which has an amplified creme finish. I find that the matte finish can feel quite drying on the lips, but that's what I expected as I read a few reviews of this before. As of right now I can't say anything about the staying power because I haven't been brave enough to wear it out in public! But I heard it's got a pretty good staying power and seeing as it's a matte lipstick, I bet it does! I personally find it a bit hard to work with, just because I feel it can look like it's "bleeding" or "washed out at the edges" (if that makes any sense?!). But this problem can probably be solved by using a lip liner - do you have any product suggestions for me? The taste of this lipstick, again, is very nice and that's important to me as well. If it doesn't taste or smell nice I wouldn't want to put it on my lips (is that a bit weird?). 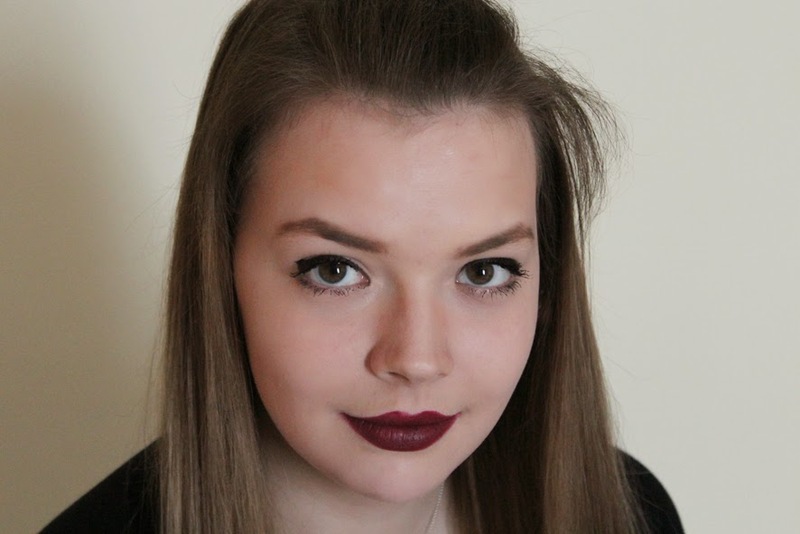 This lipstick retails for £15 on the MAC Cosmetics homepage! Another huge thank you Ana for hosting this giveaway! Also please head over to her blog and give it a read and maybe a follow as it's just fab! What's your favourite MAC lipstick finish? And what lipsticks are a must-have in your opinion? You look great! I always tell myself that people on the street don't know me from Adam - they won't know a bold lippy isn't something you wear every day. Plus, this looks like it was made for you. This reminds me of Mac Rebel it looks pretty scary but amazing on the lips. Yes that's what I thought too! THIS LIPSTICK is amazing! 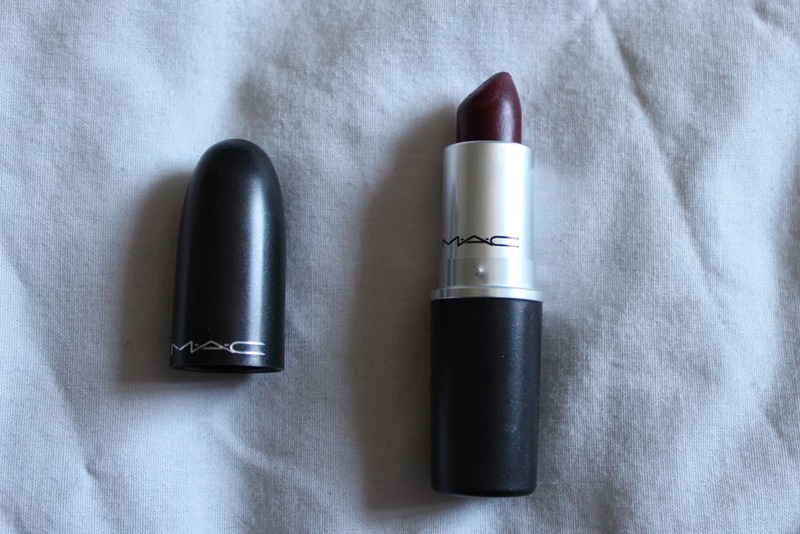 I have so many MAC lipsticks and I really cannot explain why I haven't purchased this one before. And it does look stunning on you!! Thank you for featuring it lovely! Thanks so much for the lovely comment Antoinette!